Honorable Mention (in alphabetical order): The Amazing Spider-Man 2, Dumb and Dumber To, Godzilla, Gone Girl, How to Train Your Dragon 2, Mr. Peabody & Sherman, Sin City: A Dame to Kill For, Transformers: Age of Extinction. Her (2013), R, 126 minutes - From the very first look at the trailer, Her looked like a very unique film with a strange premise: what happens when a man falls in love with the artificial intelligence of his computer's operating system? 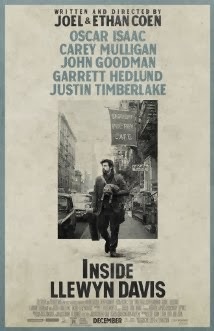 Inside Llewyn Davis (2013), R, 104 minutes - Over the years, the Coen brothers (Joel and Ethan) have carved out their own little corner of the film making world. One in which they show us glimpses of lives that could be our own and as is often the case in life, can be viewed with a certain sense of humor, albeit oftentimes a dark one. Inside Llewyn Davis is their latest work, providing a look at a few days in the life of a struggling folk singer in 1961. 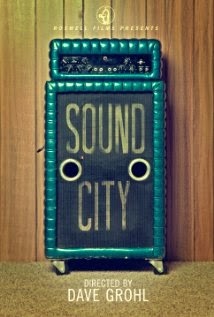 Sound City (2013), NR, 108 minutes - Dave Grohl may be the coolest man in the world. And if he isn't, he's pretty damn close. Let's see...he was Nirvana's drummer, then he started a little band called Foo Fighters. He produces and records with just about anyone, and now he's a film director to boot. Sound City is the documentary that Grohl made to honor a small, now defunct recording studio in Van Nuys, California that was the birthplace of some of rock's most successful records. Mandela: Long Walk to Freedom (2013), PG-13, 139 minutes - Based on Nelson Mandela's autobiography of the same name, I feel fell prey to a case of bad timing. 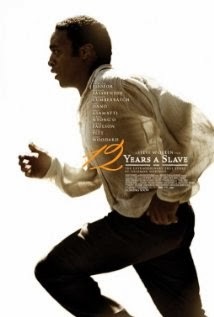 It received a limited release here in the states just a few days before Nelson Mandela passed away, leaving its widespread release to fall over the following weeks. Obviously this film has been in the works for quite some time, but I wonder if its being released so closely to its namesake's passing hindered it as people possibly felt like it was 'cashing in'. This is just speculation on my part of course. 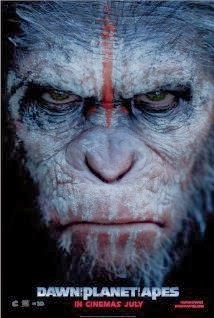 It is certainly an interesting case of timing and its impact on a film's success. Nebraska (2013), R, 115 minutes - I wasn't really sure what to expect going into this film. I had first read about it in a small blurb in Entertainment Weekly a couple of months back. I hadn't seen a full trailer and only knew what little I had seen in that magazine piece: it was a film about an old man from Billings, Montana who decides to travel - one way or another - to Lincoln, Nebraska to claim a million dollar sweepstakes prize, and that it included great performances from Bruce Dern and Will Forte. I'm glad that I had seen that little write up because what I encountered when I saw Nebraska at my local art house theater the other day was a very heart felt, endearing, humorous film that was one of the most enjoyable movies I've seen this year.